It's a sad fact, but I spend more time reading book reviews than I do reading actual books. I have limited time to read books, partly because I'm busy and partly because I have more magazine subscriptions than a doctor's office. So when I do commit to a book, I want to make it worth my while. I have more than a dozen books pinned on Pinterest, and during the time spent scouring reviews of all of them on Goodreads and Amazon, I could have read "War and Peace" and "The Pillars of the Earth," twice. But 437 hours later, I chose "Me Before You" by Jojo Moyes. You might be wondering, "Then what the heck is this photo of another book at the top of this post?" That's the book I ended up with. Most of my review reading proved useless when I got to the library and my top five choices were checked out. On second thought, maybe my review reading proved fruitful since the books I picked out are in demand. So in demand in fact, I am the 42nd person on the hold request list! You might also be wondering, "Why don't you just buy the book?" Because: A. I'm frugal. B. I have a small bookshelf and have nowhere to put books when I'm done reading them. C. A "due by" date forces me to read the book more quickly. D. Going to the library makes me feel like a nerd, in a good way. 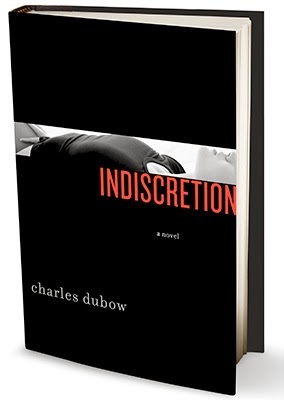 "Indiscretion" by Charles Dubow is one of the books I pinned after reading a review in O Magazine. It's centered around a summer in the Hamptons, a wealthy couple, Harry and Maddy Winslow, and a young woman Claire, who becomes obsessed with them. The story is narrated by Walter, Maddy's childhood friend, in the style reminiscent of Nick Carraway in "The Great Gatsby." This Hamptons, rich people theme could make for a great literary counterpart to one of my favorite shows with an equally-naughty, one-word title, "Revenge." But I'm hearing some not-so-great reviews. I'm only about four chapters in, and the narration feels forced and contrived. But I'm sticking it out for now. Updates to come. I am a total sucker for books about the Hamptons and scandal. Let me know if it improves or not. Maybe we need to start a magazine club? I could totally do a magazine club; I have an addiction. The book is not bad so far...about a quarter of the way through. I'll let you know if it's worth reading.